J4K Cleaning is a professional janitorial service company located in Lincoln, proudly servicing Lancaster County NE. We offer wall-to-wall janitorial services for small and mid-sized commercial companies and large corporations too. 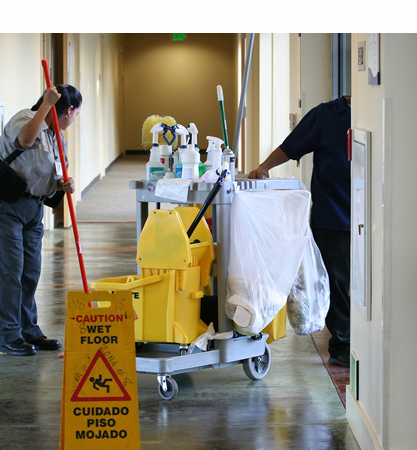 Being a professional janitorial cleaning service company, we offer an unrivaled quality of janitorial service in Lincoln, NE for commercial buildings, restaurants, medical facilities, etc. Customers value us for our work quality and tailor-made commercial office cleaning programs. Our janitorial service cleaning packages are designed in a way to suit the requirements of our clients. We offer weekly, bi-weekly, daily and nightly office cleaning service, or on a monthly basis. In addition we are available for one time cleans. J4K Cleaning is a commercial cleaning services provider that meets the cleaning requirements of a wide range of commercial facilities. We customize our cleaning programs according to the requirement and benefit of our clients from the various commercial sectors through-out Lancaster County. We fulfill the cleaning needs of universities, schools, learning centers, churches, corporate buildings, retail chains, government buildings, apartment complexes, including the industrial facilities in Lincoln, Lancaster County as well as the business sectors of Southeast Nebraska. We have gained many customers across the across Lincoln, Lancaster County, NE for our dedication, hard work, and well-trained cleaners. We provide high-grade comprehensive training to all our staff from time to time for keeping up with the latest cleaning techniques. We believe in providing high-quality training programs for bringing out the best from our cleaners. Our leading-edge cleaning programs acquaint our staffs with the most advanced cleaning procedures for accomplishing the task of cleaning effectively. Why Choose J4K Cleaning Janitorial Service Provider? Being a local commercial office cleaning company, we offer Janitorial Services, Floor Care Strip and Wax Services, Custodial Cleaning Service, Commercial Carpet Cleaning Services, Industrial Cleaning, Medical Facility Cleaning, Eco-Friendly Green Cleaning including Commercial Office Cleaning Services in Lincoln Lancaster County NE. to various organizations. Customers can choose from our various cleaning programs according to their requirement. Customer Satisfaction: J4K Cleaning is a customer-oriented company and customer delight is the main motto of our Company. We go to any length to serve and keep our customers happy with our services. Carpet cleaning, VCT hard surface cleaning are some of the services we provide our customers with. Expertise: We have a team of highly skilled cleaners who have the expertise in providing unmatched quality services to the various facilities such as restaurants, medical facilities, offices and much more. Impeccable Track Record: One of the key reasons for choosing our services for the various commercial businesses, including medical facility cleaning services is our flawless record of accomplishment. Our professional cleaners are conversant with the safety regulations for cleaning medical facilities. They wear gloves and comply with the HIPPA and OSHA regulations. Punctuality: Our dedicated team of professional officer cleaners delivers unsurpassed quality janitorial services in a timely manner. We are known for being a punctual and passionate cleaning services provider. Professionalism: The professional attitude of our cleaners has fetched us many clients. With our hard work and sincerity, we strive to emerge as one of the most popular and best cleaning companies in Lancaster County. Experience: Our experienced professional cleaners offer commendable cleaning services for offices, hotels, medical facilities, schools or universities. Call 402-421-3345 today to get a detailed janitorial service estimate! J4K Cleaning Company has been cleaning up the Lincoln, Lancaster County NE and all of Southeast Nebraska area since 1996 offering Janitorial Services, Floor Care Strip and Wax Services, Custodial Cleaning Service, Commercial Carpet Cleaning Services, Industrial Cleaning, Medical Facility Cleaning, Eco-Friendly Green Cleaning including Commercial Office Cleaning Services in Lancaster County NE. with quality and a fair price in mind. We strive to be the best commercial cleaning company in business, with our customers being our FIRST priority. Learn more about our commercial office cleaning services. Call J4K Cleaning to get a detailed estimate today! J4K Cleaning offers Green Cleaning programs and products. 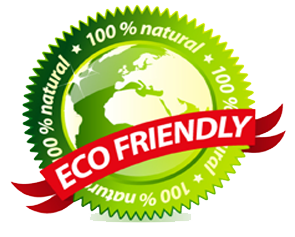 Green cleaning is an approach to janitorial services that takes into account the health, safety, and environmental risks of products and methods used during the cleaning process. Green cleaning will improve indoor air quality, reduce water and air pollution, provide a healthier environment for your employees and visitors, and reduce employee sick time and its associated cost. Schedule your commercial office cleaning service quote today!